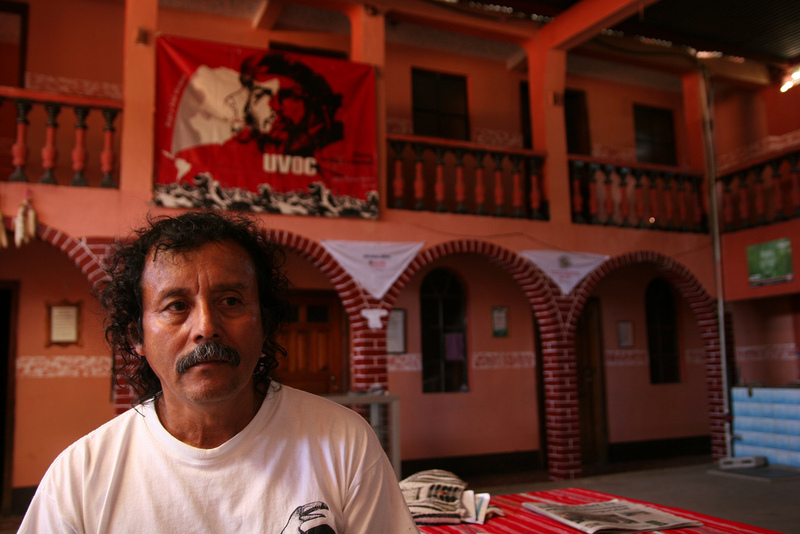 Carlos Morales sits under a picture of Che Guevara in Santa Cruz, Alta Verapaz. Morales heads the Union of Peasant Organizations. He believes the state of siege is a pretext for suppressing agrarian reform in a region with a history of land disputes.